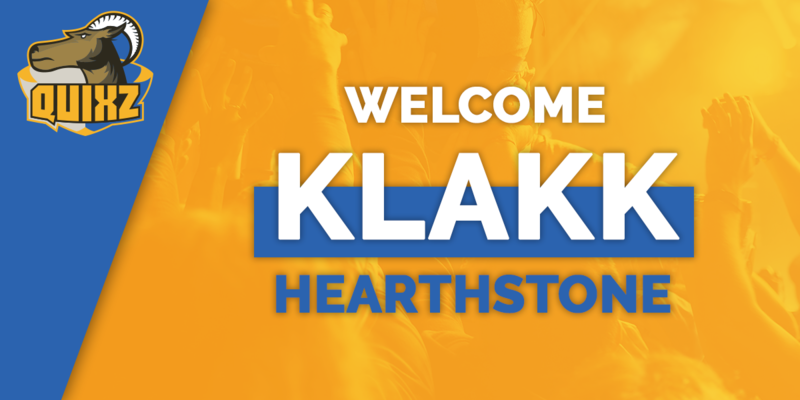 Today we are pleased to announce that we are diving into yet another game, Hearthstone. Hearthstone is a strategy game where two players battle, each with their own card-decks. It already has a big community, and we'd love to help it grow. Klakk, also know as Endre Stedje, has played the game for many years, but never tried playing professionally. Since he did not have any past results to show, we had our doubts when he contacted us. He said that he had a strong desire to try his hardest, and we believed him. In the end, when all dots connected, we had gotten ourself a new Hearthstone player. Endre has yet to play any matches under our organisation, but he will, as soon as he is ready. Currently he is practising as hard as he can, with the strong belief that he can produce tournament-winning results. Keep an eye on our Twitter, to make sure you are updated on when he will play his first official match!